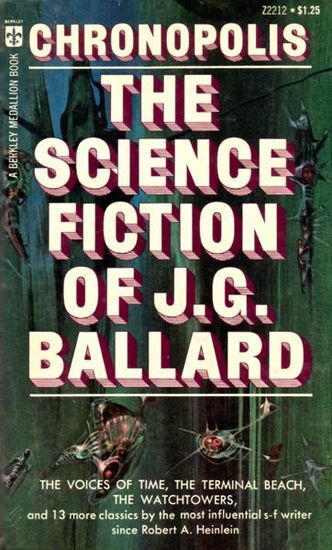 In the world of science fiction, J.G. Ballard is a Big Deal. His early work includes the novels The Wind from Nowhere (1962), The Drowned World (1962), and High-Rise (1975), and the seminal collection Vermilion Sands (1971). 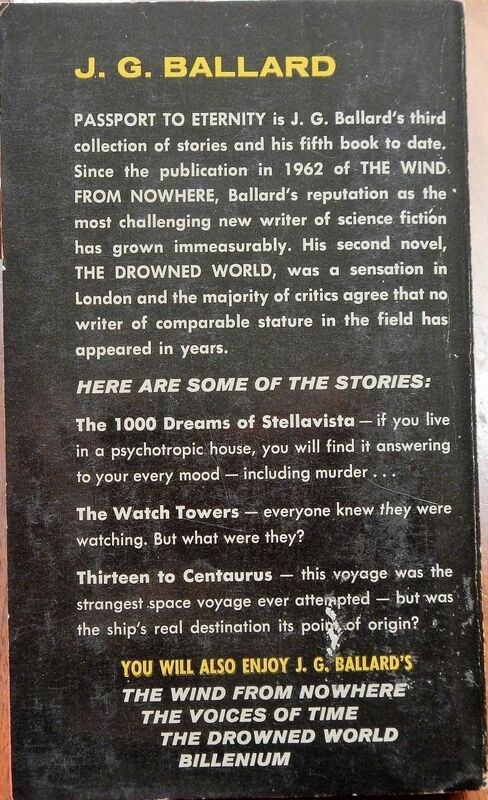 Outside science fiction, Ballard is also a Big Deal. His 1984 novel Empire of the Sun, loosely based on his experiences as a child in Shanghai during Japanese occupation, was described by The Guardian as “the best British novel about the Second World War” and filmed by Steven Spielberg in 1987, starring a young Christian Bale. 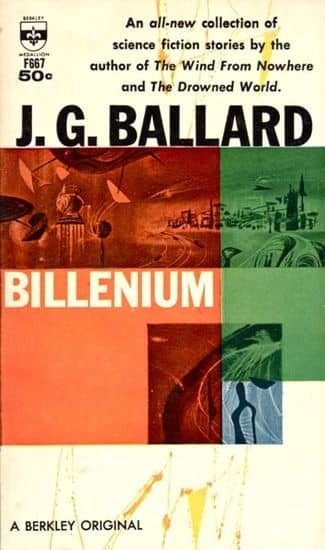 His influence on modern literature has been powerful enough that “Ballardian” has become a common term, defined by the Collins English Dictionary as “resembling or suggestive of the conditions described in J. G. Ballard’s novels and stories, especially dystopian modernity…” He died in 2009. 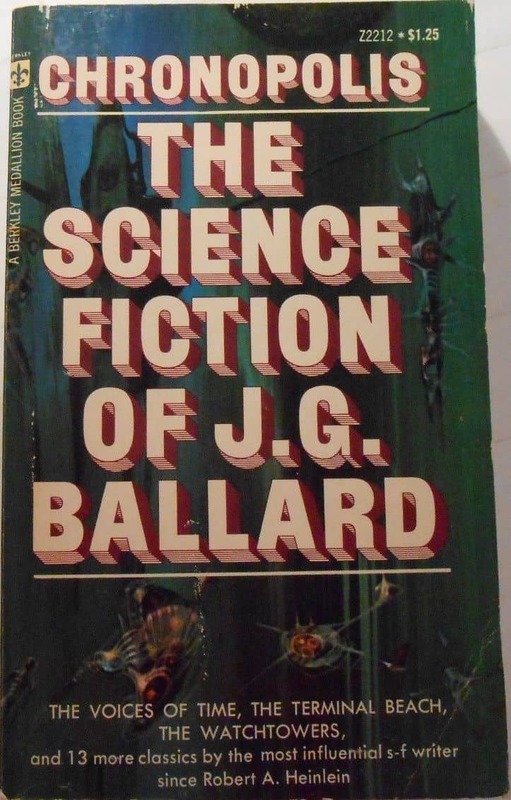 Ballard’s short fiction, virtually all of it SF, is some of the most vital and studied science fiction of the 20th Century. 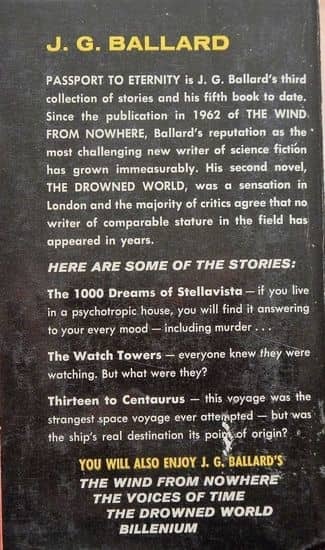 His stories “Souvenir” (1965) and “Myths of the Near Future” (1983) were nominated for the Nebula Award, and his collections — including Passport to Eternity (1963), The Terminal Beach (1964), Vermilion Sands (1971) and Chronopolis and Other Stories (1971) — are very highly regarded. In 2006 Harper Perennial published J.G. Ballard: The Complete Short Stories in two thick volumes in the UK; they were reprinted in 2014 by Fourth Estate with an introduction by Adam Thirlwell. 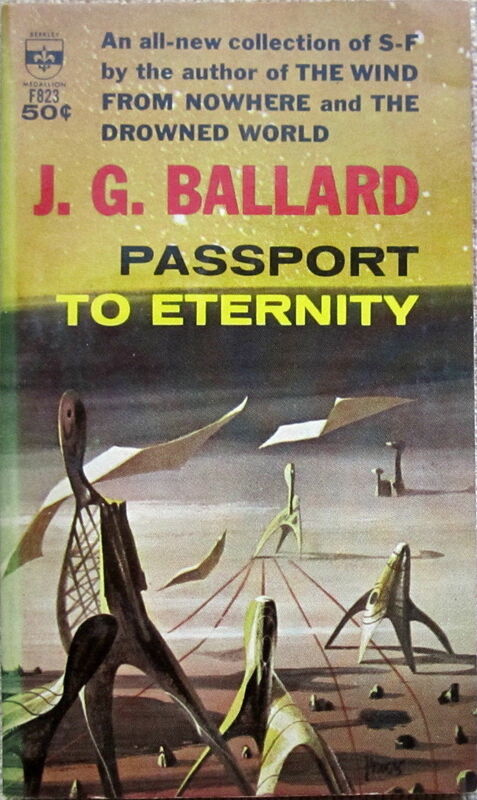 There aren’t a lot of writers for whom it pays to read their complete short work; Ballard I think is the exception. 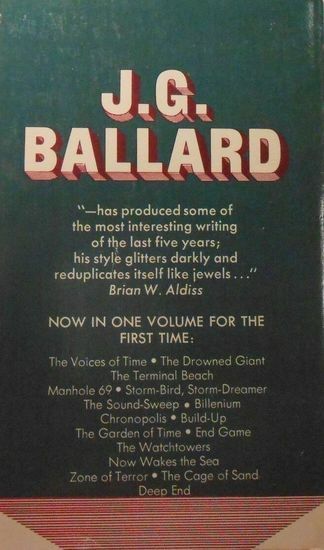 Ballard published his first two short stories in the British SF magazines New Worlds and Science Fantasy; both appeared in December 1956. Edward J. Carnell, the editor of New Worlds, took him under his wing and published nearly all of his early stories. 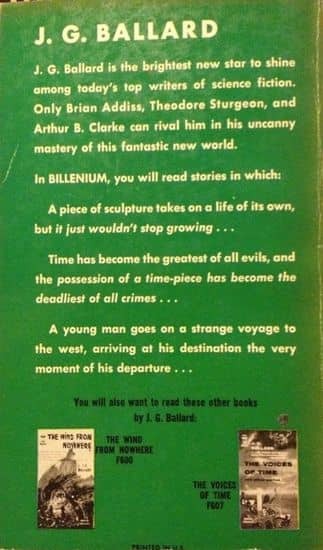 His first collection Billenium appeared in paperback from Berkley Medallion in 1962; some two dozen more would follow over the next four decades. 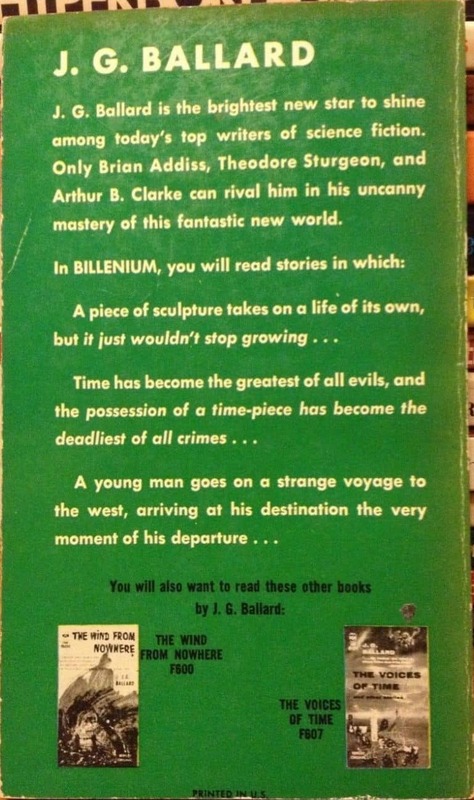 Each of Ballard’s 98 short stories is like a dream more perfectly realized than any of your own… Ultimately, Ballard is simply a master story writer — the maker of unforgettable artifacts in words, each as absolute and perplexing as sculptures unviewable from a single perspective. In this book of 98 stories, there are at least 30 you can spend a lifetime returning to, to wander and wonder around. 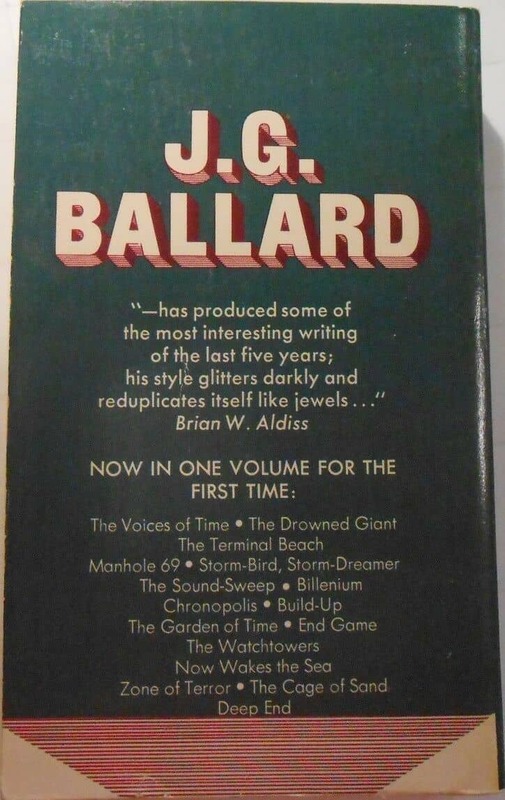 The marvel of most of these tales is how instantly comprehensible their alternate realities are when so little is explained—and how believable they are, too, thanks to Ballard’s unflappable narrative voice. With unerring instinct, he finds the ordinariness in the most preposterous scenarios, thus connecting them in detail and tone to our own reality. J.G. 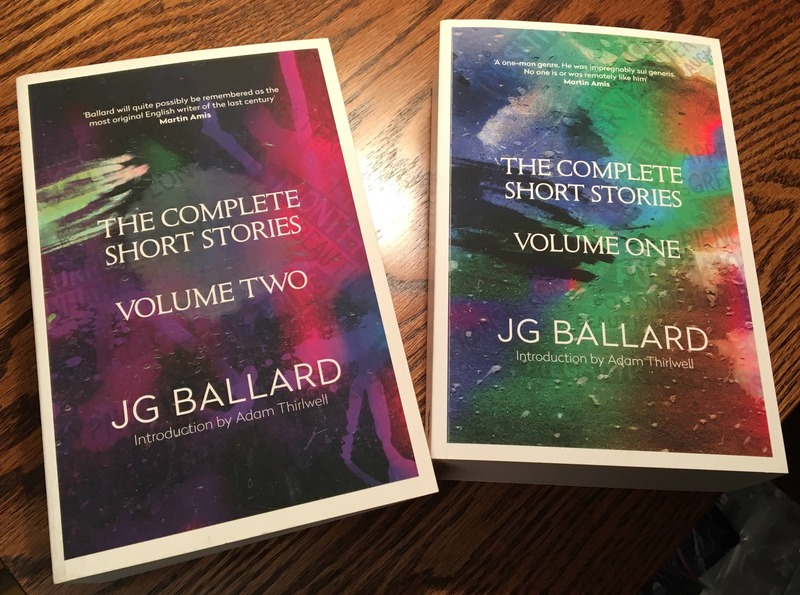 Ballard: The Complete Short Stories, Volumes One & Two is a terrific way to get your hands on classic stories that have not seen print in many decades, as well as many of Ballard’s acknowledged masterworks. J.G. Ballard: The Complete Short Stories, Volumes One & Two are still broadly available; I bought copies of both last year for under $20 each. Here’s the publishing details. 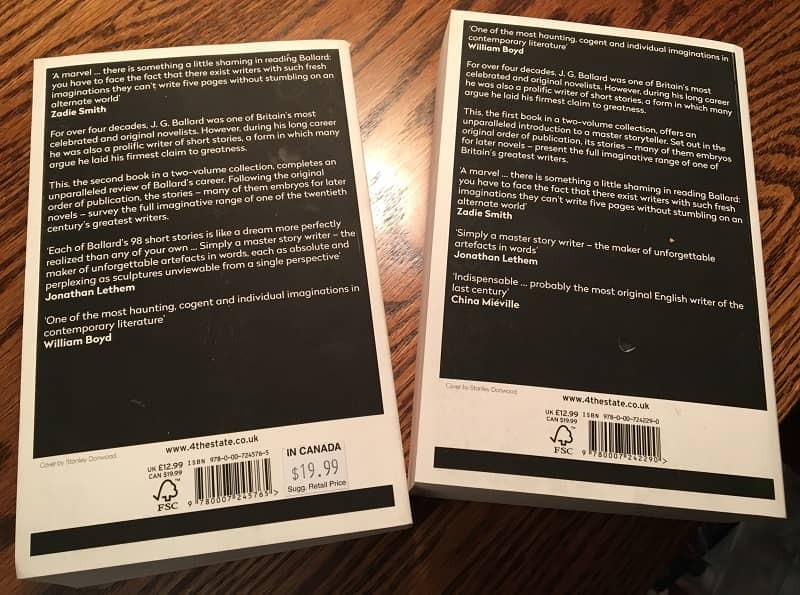 Both books were published by Fourth Estate. The covers are by Stanley Donwood. There are no digital versions. 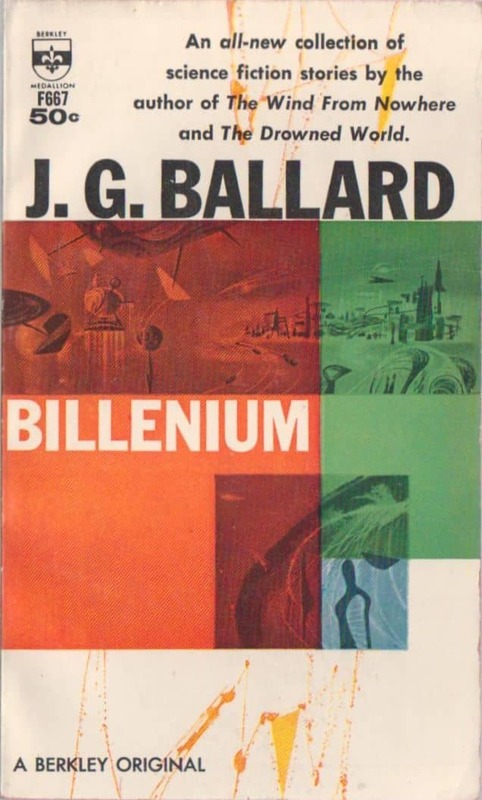 I am convinced that no writer – forget just “science fiction writer” – of the past sixty years will prove to be of more permanent value than Ballard. I took this article live before I remembered to add links to our previous coverage, including your excellent 2015 article “A Prophet Without Honor: J.G. 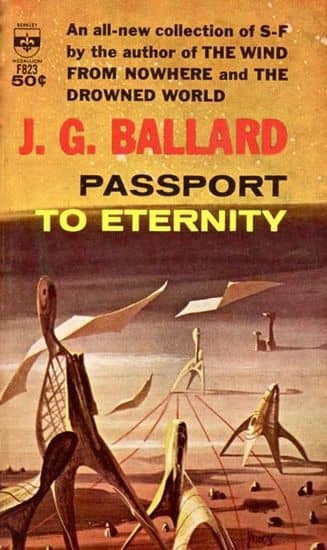 Ballard.” I have rectified that above, with links to Black Gate posts by Matthew David Surridge, Judith Berman, and of course your fine article. Sorry for the temporary oversight!